We provide complimentary consultations. During the consultation we will do a comprehensive oral examination, and offer you a variety of treatment options best suited for your needs. Full dentures are a removable replacement for all your missing teeth, they are fitted to your gums using custom techniques by the Denturist to ensure the best fit and function. Options range from standard to premium dentures with a variety of custom shades, sizes and quality of teeth to fit your needs and budget. They help to restore the fullness and contours of a person’s face giving a more natural and youthful appearance. Partial Dentures are a removable denture made to replace one or more missing teeth, greatly improving your ability to chew, and restoring your appearance. Partial dentures also help to prevent shifting of your natural teeth into the spaces left by the loss of a natural tooth. Partial Dentures can be made in a variety of materials best suited for your needs including, acrylic, lightweight metal, or flexible material. If your natural teeth must be extracted various treatment options can be provided to recreate and restore your smile. Immediate dentures are fabricated prior to the extraction of your teeth by taking impressions of your mouth while your natural teeth are still present. The dentures are then placed the same day by your dentist following extractions and help to reduce swelling. After placement you will experience a healing phase where your gums will shrink following the extractions, adjustments will be made to the immediate dentures to ensure a comfortable fit until full healing has taken place, this is dependent on the amount of teeth extracted. A broken denture does not necessarily have to be replaced, depending on the break a repair can be done, often in the same day. 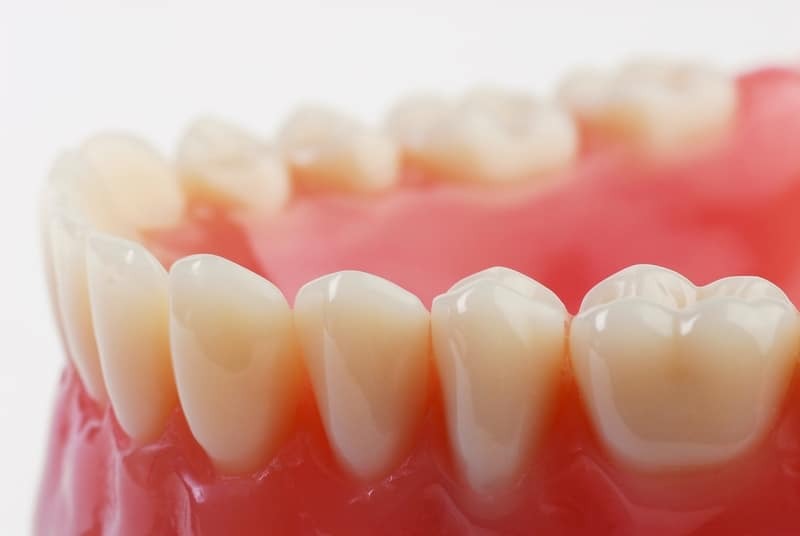 If your dentures feel loose but the teeth are not worn a rebase or reline might be a good treatment option. An impression is taken inside your denture, then it is retrofitted to give you a better fit. At times this can alleviate breakage, improve function, and greatly improve fit. Often this treatment plan can be done in the same day.